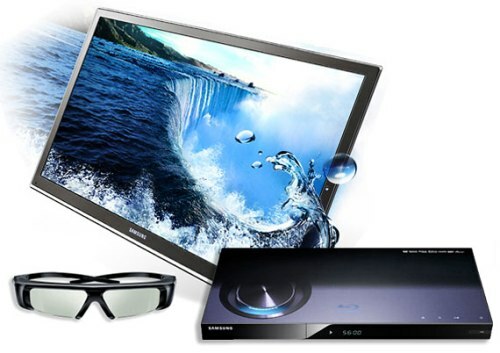 It’s official – Blu-ray 3D engages viewers more than Blu-ray, which in turn is more engaging than standard DVD. That’s the result of the neurological research released this week by the Mindlab International team at the Sussex Innovation Centre. 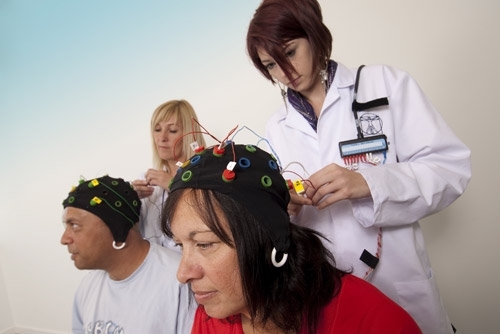 Testing the attention, emotion and engagement levels of different home entertainment disc formats on a group of subjects, our study monitored subjects’ heart rates, skin conductance levels (EDA) and brain activity levels (EEG) whilst they watched film clips and trailers in Blu-ray 3D, Blu-ray and DVD formats. Subjects’ attention levels were 29% higher, their engagement levels were 18% higher and their emotional levels were 8% higher when comparing their reactions between Blu-ray 3D and standard DVD footage. We invited those tech and gadget gurus at Pocket-lint to take part in the experiment too – you can check out their exclusive write up here. UK technology website V3 has reviewed CyberLink’s latest media player software ‘PowerDVD 10’ and given it a 5/5 star rating. 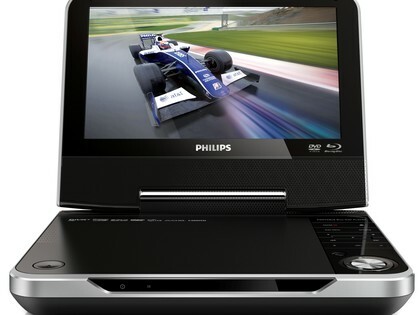 Enabling viewers to experience both 3D and HD movies and music files, the universally compatible piece of kit was awarded praise by V3 as a fantastic way to view Blu-ray movies the way they were intended on a PC. With the ability to launch films up to four times faster than other applications, the team claims ‘PowerDVD 10’ produces higher quality results from standard DVDs thanks to its ‘True Theatre HD’ upscaling technology. 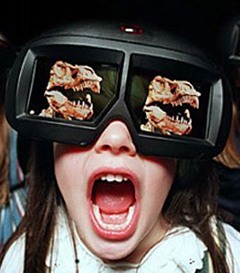 If you’re keen to try out a Blu-ray 3D, it’s worth noting the software is fully compatible with every single piece of 3D kit on the market including glasses, graphics cards and monitors. So if you’re searching for great quality, noticeably sharper pictures and clearer sound for watching your favourite Blu-rays on your PC, CyberLink’s latest offering could be the one for you. Visit V3 to read the full review and also access a downloadable demo of the software. There’s a new hero in town. And he doesn’t wear tights. Plucked from the pages of a comic book and sculpted by the minds behind ‘Superbad’ and ‘Pineapple Express’, Sony Pictures Home Entertainment is proud to announce ‘The Green Hornet’ will land in a Triple Play Blu-ray 3D pack in the UK on May 2nd and the rest of Europe shortly after. Oscar winning director Michel Gondry subverts the classic comic book genre placing Seth Rogen in the leading role of Britt Reid, a reluctant heir to LA’s most respected media empire. Alongside his father’s inventive employee Kato (Jay Chou) and new secretary (Cameron Diaz), Britt realises this is his opportunity to make a difference to the city by fighting crime. The only trouble is he’ll have to break the law to do it. 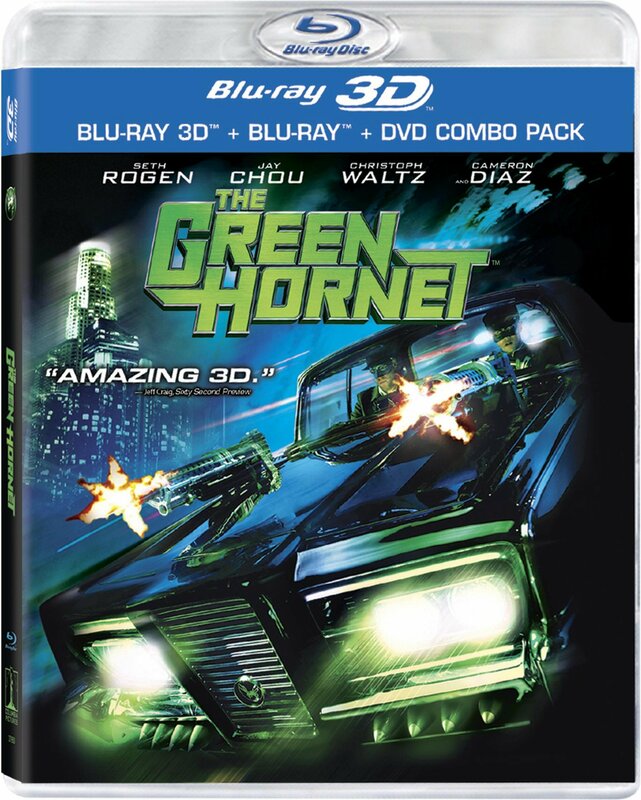 ‘The Green Hornet’ will be available in a three disc pack containing a BD 3D, a 2D BD and DVD copy of the movie. Special features exclusive to the BD 3D include a 3D animated storyboard detailing the intricate planning needed to shoot many of the film’s high octane action sequences. Exclusive 2D BD features include deleted scenes, a gag reel, featurettes such as ‘Trust Me’ with comment from Gondry and ‘The Black Beauty: Rebirth of Cool’, and a game enabling users to edit their own car chase scene. MTV has the full story. We’ve embedded ‘The Green Hornet’ trailer below. Enjoy! Light Cycle? Check. Identity Disc? Check. Super Play Blu-ray Disc Edition of ‘Tron: Legacy’ with a 3D copy? Check. 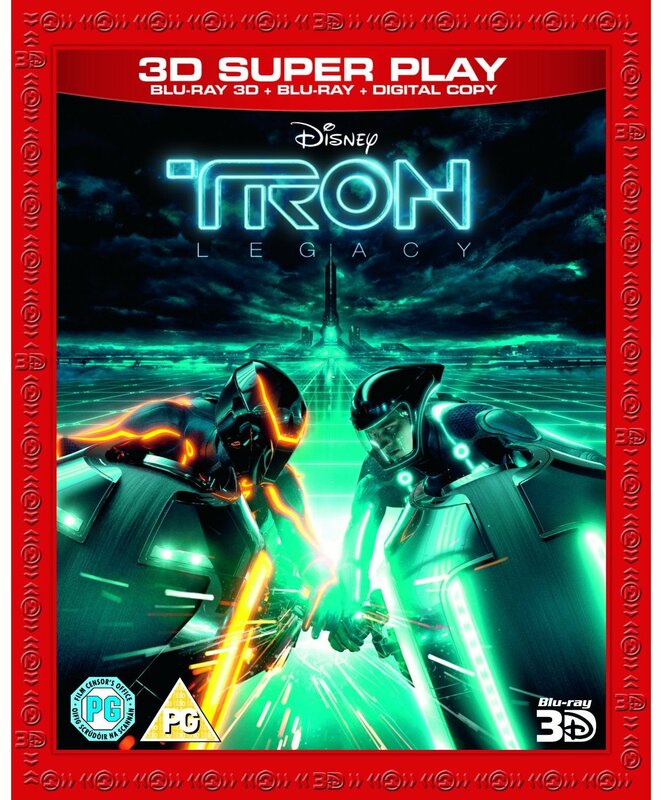 With film forums and movie blogs awash with rumours on the content and artwork for Walt Disney’s BD release of ‘Tron: Legacy’, we’re happy to report official details on the 3D Super Play version on sale in the UK from 18th April and the rest of Europe soon after. Rebellious teenager Sam (Garrett Hedlund) is still haunted 20 years on from the mysterious disappearance of his father and leading video game developer Kevin Flynn (Jeff Bridges). On receiving a message from his father’s former workplace, Sam’s quest to find the truth sends him spiraling into a computer generated world with flying motorbikes, space age weapons and a ruthless villain who will stop at nothing to prevent his return to reality. Arriving in a combo pack comprising BD3D, 2D BD and a digital copy of the movie, special features include, ‘The Next Day: Flynn Lives Revealed’, ‘Launching the Legacy’, ‘Visualizing TRON’, ‘Installing The Cast’ and ‘Derezzed’ music video performed by soundtrack producers Daft Punk. Movieweb meanwhile has previews of what US fans can expect upon its release in various guises across the pond from early April, including a mammoth five BD box set including illuminating Light Disc. Check out Zavvi.com for more details on the UK release.